HSN has an interesting promotion going for the holidays, one that will benefit St. Jude’s Hospital. In a press release, the home shopping network said it is giving aspiring interior decorators a chance to give back this holiday season with the “Pin to Give: Deck the Halls for St. Jude” Pinterest campaign. Pinterest users will search for, pin, and share their favorite holiday decor ideas. For every eligible board submitted to http://www.hsn.com/pintogive, $1 will be donated by HSN Cares to St. Jude Children’s Research Hospital. “HSN has been a trusted partner to St. Jude Children’s Research Hospital for the past six years under the HSN Cares philanthropic program which is committed to supporting women and families in need through raising funds for global causes,” our buddy Bill Brand, HSN’s executive vice president of programming, marketing and business development said in a canned statement. Starting today and running through Dec. 31, pinners will be asked to follow HSN on Pinterest and submit their “Deck the Halls for St. Jude” pin board by picking eight items – at least two items from HSN’s own “Deck the Halls for St. Jude” pin board and the rest of their Holiday decor ideas from anywhere on the Web. You have to tag boards with #HSN and #StJude. Boards must be submitted to http://www.hsn.com/pintogive by Dec. 31 at 11:59 p.m. ET. Over the past six years HSN Cares has raised more than $6 million in donations for the St. Jude Children’s Research Hospital. The company kicked off its 2012 holiday shopping season with the return of its heART HSN 2012 Designer Ornament Collection, a compilation of beautiful, limited-edition designer ornaments, personally designed by over 40 HSN partners including Iris Apfel, Queen Latifah, Kate Walsh, Tori Spelling, Deborah Lippmann, Martha Stewart, Emeril Lagasse and many others. These ornaments are available exclusively on HSN, HSN.com and via HSN Mobile. For ornaments purchased through Jan. 31, 100 percent of the profits – no less than 30 percent of the purchase price of each ornament – will be donated to St. Jude Children’s Research Hospital. For more information about the HSN Cares “Pin to Give: Deck the Halls for St. Jude” Pinterest campaign please visit HSN.com/pintogive or join the conversation @HSN on Facebook, Twitter and Pinterest. The New York Post reported this week that Andy and Johnathan Hillstrand, who are on the hit reality series, will join the long roster of TV show stars who are hawking products on QVC. 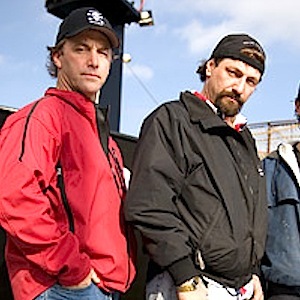 “Deadliest Catch” was developed by the creator of the macho reality show genre, producer Thom Beers, who we interviewed and profiled several years ago. The Hillstrand boys will be selling “Deadliest Catch Alaskan Style Crab Cakes,” according to the Post, on Venable’s “In the Kitchen With David” show Sunday at noon. Is Ex-ShopNBC Host Pamela McCoy Headed To HSN With Diamond Jewelry Line? 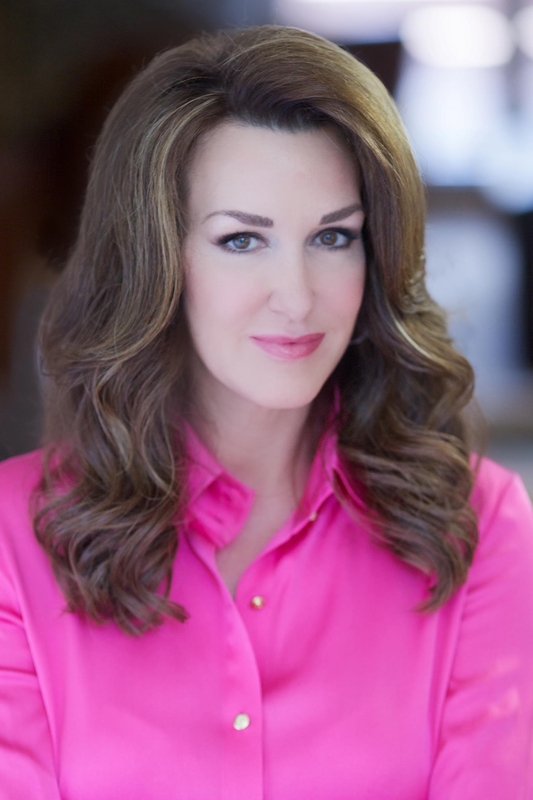 Once again, one of our savvy readers had tipped us off to a juicy tidbit: Former ShopNBC host and vendor Pamela McCoy has landed at another home shopping network, and it sounds like it is HSN. Several days ago McCoy teasingly posted on Facebook that she is readying a jewelry line for a new home shopping venue, which she can’t reveal yet. But since McCoy and her husband Wes — who used to appear with her as a host on ShopNBC — have just relocated from Minnesota, ShopNBC’s home, to Florida it seems logical to assume that she will be joining “the HSN family,” as they say in St. Petersburg. But we could be wrong. It wouldn’t be the first or last time. We’ll soon see. The McCoys are among the ShopNBC hosts who were either shown the door, or took it themselves. We’ll never know exactly which. But Pam continued to so a fashion line for the network, with faux furs being one of her specialties. I know you have all been wondering what is going on with the Pamela McCoy Collection. Today I can share some of the news. I have been working on a jewelry line for the past year. It will air at the beginning of the year on a different network. It will feature diamonds set in gold and sterling silver. The prices will be amazing! I am very excited. I hope to give exact dates soon. I will also be providing a link to the network on FB so you can find my shows easily. I know many of you have been asking about the clothing line. Thank you for all of your style suggestions. It is a great help to me because my clothing line will be available by web and catalog this spring! I will be able to give more details as soon as they are finalized. Everything always takes a little longer than I’d like but I promise you will be happy. I will keep you all posted! Thanks again! Pamela looks about 20 years younger in her Facebook photo than she did on ShopNBC, and she got into a lather when we suggested that she may have had some work done. She denied it. Pamela said she was just happy now, which indeed can take years off your looks. And she has a virile husband. And we guess those two factors can be a fountain of youth. But liar, liar, pants on fire, Pam, if you are not telling us the full truth! Anyway, since we love affordable diamonds, our birthstone, we can’t wait to see her jewelry line. We’re late on this news, but better late than never: eternal home shopping host Judy Crowell has ended her tenure as Jewelry Television’s style and trend expert. One of our astute readers posted a note asking us about Crowell’s recent absence from shows featuring the Stratify jewelry line, where she had been a fixture. We emailed Crowell, and she graciously responded by sending us a link to a blog she wrote in mid-October, announcing that her JTV days were done. Crowell went on to day that she would be traveling with her husband, ShopNBC vendor Paul Deasy, to film at a drusy mine. Crowell, who like her husband has been a host on QVC and HSN, hinted that she will be back on TV soon in her blog. On Black Friday, Will QVC Be Selling Bethelem Lights Christmas Trees? QVC, crowing again, says it is the second-largest multi-category retailer in the Internet Retailer Mobile 400, and that it thinks mobile commerce will hit a milestone on Cyber Monday. QVC.com will be bringing us “Gift Tab,” where QVC shoppers can click to discover gift ideas inspired by real people (is Rick Domeier “real people”? ), including QVC hosts, guests and the QVC customer community. QVC.com will also feature the most pinned items from the QVC Pinterest boards. 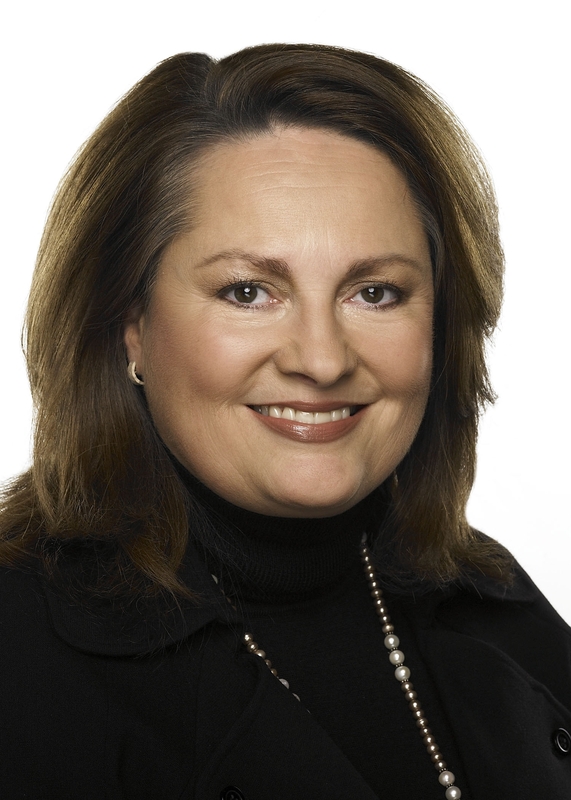 “As more consumers take advantage of the convenience of shopping online and on mobile this holiday season, we’re engaging our customers through new social experiences, across all our platforms, to inspire and to offer an alternative to the holiday chaos,” QVC CEO U.S. Claire Watts said in a canned statement. “QVC has the second largest mobile retail business in the U.S., and our strategy to create digital shopping experiences with strong integration across TV, PC, tablet and mobile platforms is not only a success with our customers, but is significantly outpacing the industry,” she said. QVC’s “Better than Black Friday” will air 48 hours of nonstop shopping with deals in every show beginning Thanksgiving. The Black Friday Today’s Special Value® will be available Thursday at midnight. Mobile Monday will include a Today’s Special Value and special pricing on more than 5,000 items on QVC.com and on the QVC app, including gifts under $50. QVC is also offering “Easy Pay” on every Today’s Special Value now through Christmas Eve, allowing customers to receive items right away with extended payments. Somebody hide my credit cards, please! ShopNBC reported Wednesday that its fiscal third-quarter net sales were up a whisker, rising 2 percent, to $137.6 million versus the year-ago period. The slight sales improvements were driven by the beauty, health, & fitness categories. That performance offset a decrease in the categories of fashion & accessories and home & consumer electronics, according to the network. ShopNBC’s gain was less than its much-bigger rivals. QVC recently reported a third-quarter revenue increase of 3 percent, to $1.2 billion. HSN’s sales increase in the quarter was 5 percent, to $537.4 million. ShopNBC CEO Keith Stewart is always long-winded in these press releases, and this one was no exception. 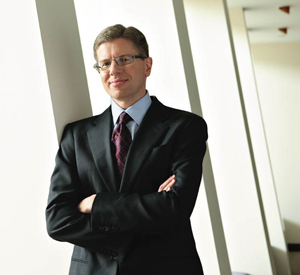 Gross profit dollars increased 1.1 percent, though gross profit margin decreased by 30 basis points to 36.9 percent in the third quarter versus last year, principally reflecting an increase in shipping and handling promotions. ShopNBC’s operating expenses dipped 3 percent in the quarter, as rate reductions within variable expenses helped offset an increase in TV distribution fees related to a 3.1 percent growth in the average number of homes in the company’s distribution footprint. The home shopping network saw a third-quarter adjusted EBITDA gain of $600,000 compared to an adjusted EBITDA loss of $500,000 last year. The company’s average selling price decreased 4.8 percent to $100 in in the quarter versus last year. Net shipped units rose 7.2 percent in the quarter. 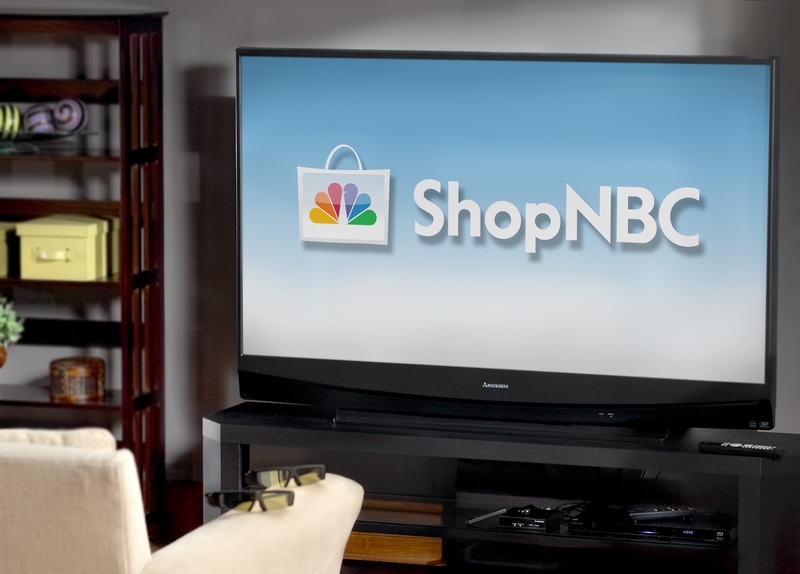 ShopNBC’s Internet sales penetration rose 70 basis points to 44.8 percent in the third quarter. ShopNBC executive vice president and chief financial officer William McGrath got his two cents in, too. We’ve been too busy at work to listen to the ShopNBC conference call, but if you are interested, go to http://www.media-server.com/m/p/7hni5d7c. We got an official response this week from QVC about the warning calls and emails that the home shopping network has sent out regarding safety problems with one of its Bethlehem Christmas trees. It is basically a repeat of the message that QVC has sent to its customers, which we already posted. There have been customer reports of electrical failures associated with certain models of the 6.5′ and 7.5′ Bethlehem Lights Scottsdale Tree with Never Fail Lights (H191953 and H191954), including customer reports of melted switches and two customer reports of fire. Because the safety of our customers is our primary concern, we’ve instructed customers not to use this item, even if it’s been used without incident, and to await further instructions from QVC within 10 days. We have informed our supplier of the issue, and we will be reaching out to our customers shortly with further instructions. We have had about 20 posts from QVC customers who bought the tree and got the warning. They are not happy campers, and we don’t blame them. They contend that QVC should just give them a refund for the tree, which cost in the neighborhood of $500. And they don’t want to have to ship the trees back to QVC, which we can’t blame them for. QVC says it is working with the trees’ manufacturer to find a solution to the safety issue. Not good enough. We agree with the folks who have posted comments here: QVC should just bite the bullet and refund money to its customers for trees that may pose a safety hazard. QVC’s revenue increased 3 percent, to $1.2 billion, in the third quarter as a result of strength in cooking and dining, beauty, apparel and accessories products, partially offset by a decline in electronics. The home shopping network’s parent, Liberty Interactive Corp., announced its third-quarter earnings Wednesday. QVC’s average-selling-price-per-unit increased 1 percent, from $54.49 to $55.21, and units sold increased 1 percent compared to the prior-year third quarter. Last week HSN reported that its third-quarter net sales jumped 5 percent, to $537.4 million. 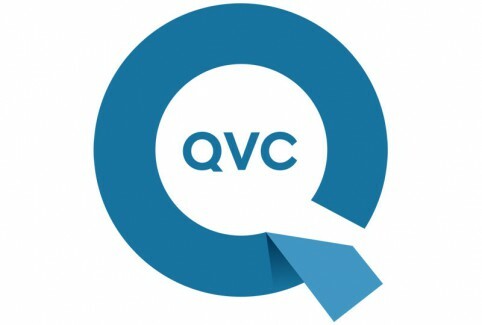 QVC’s consolidated revenue, which includes its domestic and international shopping channels, increased 2 percent, to $1.9 billion. QVC’s U.S. revenue rose 3 percent overall due to a 14 percent increase in shipping and handling revenue due, in part, to a price increase implemented in the fourth quarter last year. Third-quarter returns as a percent of gross product revenue remained relatively flat. In the same period, eCommerce revenue increased 14 percent to $479 million and grew to 39 percent from 35 percent as a percentage of total U.S. revenue. Adjusted OIBDA increased 7 percent to $278 million and adjusted OIBDA margin(2) increased 81 basis points. The increase in adjusted OIBDA margin was primarily due to an improved gross margin as a result of a favorable net shipping and handling position including warehouse productivity, as well as lower commissions, credit card and customer service expenses as a percentage of revenue. “QVC continues to produce strong results, especially on a constant currency basis, despite a challenging macroeconomic environment, and we are pleased with the performance of our newest market, China,” Liberty President and CEO Greg Maffei said in his canned statement. QVC’s international revenue slipped 1 percent in the third quarter to $681 million. The third-quarter results included the negative impact of the strengthening U.S. dollar against the Japanese yen, euro and U.K. pound sterling. So far our blog about QVC doing robocalls — to customers who purchased Bethlehem Lights Christmas trees last year — has gotten a dozen comments from other women who said they also got this warning. Customers were advised not to hook up their artificial trees, because they posed a potential fire hazard. Well, the folks that got the automated call also got this email. We’re writing to you today as a follow up to our recent efforts to contact you with an important message about the 6.5′ and 7.5′ Bethlehem Lights Scottsdale Never Fail Instant Power Tree, QVC item H191953 or H191954. QVC has received customer reports of electrical failures associated with those tree stands that have a certain type of foot pedal switch, including customer reports of melted switches and two customer reports of fire. PLEASE DO NOT USE THIS ITEM, even if it’s been used without incident, and await further instructions from QVC within ten days. Not all customers contacted will be affected by this issue, so we appreciate your patience while we finalize our investigation. If you need us in the meantime, we’re here at 800.367.9444 from 7am – 1am Eastern Time, seven days a week. Fans of our blog are concerned. They say they can’t afford to buy but a replacement Christmas tree at $400 to $5,100 a pop. They want refunds from QVC, but can’t imagine having to pack up their huge trees to return them. We emailed QVC about all this during the weekend, and are stilling waiting for a response. Is there a problem with one of the artificial Christmas trees that QVC sold last year? There is, according to a customer of the No. 1 home shopping network. A woman from the Left Coast told us that this weekend she got a robocall from QVC about a Bethlehem Lights Scottsdale Neverfail Christmas tree that she purchased last September last year. It was a 7.5-foot tree, item No. H191956, for $458. The message warned that there was an apparent safety issue with that particular type of tree, in terms of a potential fire hazard or the tree melting. The customer was advised not to use the tree, even if it hadn’t caused any problems in the past. The message also told the woman that she would be receiving further instructions within the next 10 days. We checked the recall list on QVC.com, and the tree isn’t listed there. We also checked the recall section of the Consumer Product Safety Commission’s website, and the tree wasn’t on there, either. We’ve emailed QVC’s media relations department to see what’s going on. We don’t want to alarm anyone about their artificial trees ordered from QVC. Maybe someone was pulling a Halloween prank with that robocall. But we would like to get to the bottom of this. Has anyone else gotten this call? You are currently browsing the Homeshoppingista's Blog By Linda Moss blog archives for November, 2012.